A few years ago, many people labeled Bitcoin as a scam, but now it is seen, along with other cryptocurrencies, as the future of money. Cryptocurrencies, as virtual or digital currencies, have no physical properties and need to be ‘mined’ electronically. Before we go into details, we’d like to define first the most common terms used in Bitcoin mining so you can easily understand how this highly technical process works. Block: The data related to transactions is stored on a page known as a block. Bitcoins Per Block: This is the number of bitcoins rewarded to miners for every block mined and added to the blockchain. The initial reward per block was 50 bitcoins but every 210,000 blocks, the reward is divided by 2. Currently, the reward sits at 12.5 bitcoins per block. Bitcoin Difficulty: With an increasing number of miners, Bitcoin mining also increases in difficulty. The ideal average mining time defined by the network is 10 minutes per block. Electricity Rate: To calculate how much you’re earning, you need to check your electric bill. This can help you judge how much electricity is consumed by your mining computer in return for your bitcoin earnings. Are you making a profit, breaking even or losing? These are important questions all miners need to ask themselves. Hash: In Bitcoin mining, a hash can be seen as a problem related to mathematics. The mining machine needs to solve it to earn rewards. Hash Rate: The time it takes to solve these hash problems is called Hash Rate. Hash rate increases with the number of miners on the Bitcoin network. MH/s (Mega hash per second), GH/s (Giga hash per second), TH/s (Terra hash per second) and PH/s (Peta hash per second) are some of the units that are used in measuring hash rates. Pool Fees: Miners join a pool for mining known as a ‘mining pool.’ Like natural mining, miners here mine together as it helps them solve those complex hash problems faster. You have to pay fees to the pool so it can continue its operations. When bitcoins are finally mined, they are distributed to miners with respect to their hash rates. Power Consumption: Not every mining machine consumes the same amount of electricity. So before buying yourself an expensive machine, you must check first how much power it will consume. Time Frame: This is a duration that you need to define yourself to see how much you’re mining. For example, you define a time frame of 45 days. This means that after 45 days, you’ll calculate how many bitcoins you’ve mined during this period. Defining a time frame can help you see if you are producing more or less than your fellow miners. In the beginning, bitcoin mining was incredibly easy and could be easily mined on regular desktop CPUs. However, as the number of miners increased, bitcoin mining on CPU became more difficult and caused computer hard drives to fail. With a surge in the number of miners on the network, the use of GPUs started to gain popularity when people realized they were more efficient for bitcoin mining. Some advanced GPUs even allowed miners to increase their mining productivity 50-100 times better in comparison to CPU mining. People also started altering their BIOS settings to maximize their rewards. Nvidia and ATI’s cards shot to popularity as a result. FPGA is an integrated circuit created with the objective of performing bitcoin mining. GPU mining was turning out to be not so profitable for everyone because of rising electricity costs. FPGA was designed to consume less power, and so miners moved from GPUs to FPGAs. With the arrival of ASIC technology, FPGA was overtaken as the primary hardware used in bitcoin mining. ASIC is a computer chip that is used solely for mining of cryptocurrencies like bitcoins or other coins that use the SHA-256 algorithm. Unlike other mining hardware, ASICs cannot be used to do tasks other than mining. Right now, this is the gold standard which miners swear by as these powerful chips solve more problems in less time while consuming less electricity as well. You can own bitcoins using a few methods. The easiest way is to buy some bitcoins on a Bitcoin exchange platform though, of course, bitcoin prices are so high now that you’ll need to make a sizeable investment. The other method is not to use any money and instead simply mine bitcoins using computer hardware. It’s important to note here that the main and integral purpose of mining is the creation or release of new bitcoins which can be then available on the network. 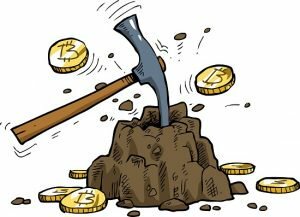 Currently, about 16 million bitcoins have already been mined out of the possible 21 million bitcoins that can ever be created. Unlike normal currency transactions being confirmed and regulated through banks, cryptocurrencies’ transactional data appears a public ledger known as the ‘blockchain’. Each block can be said as a page that contains the data of transactions. 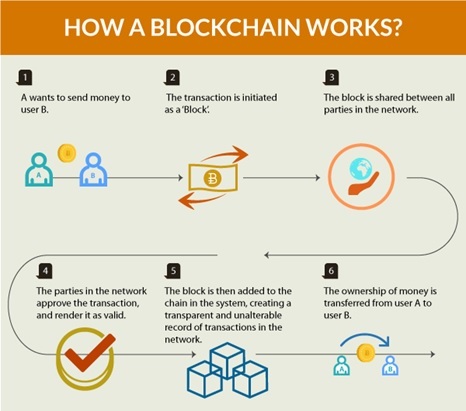 That is why it is called as blockchain. Mining helps to confirm these transactions on a blockchain. Miners also run cryptographic hash on blocks. A hash requires complex computations. These hashes are important because they make a block secure. Once a block has been accepted in the blockchain then it can’t be altered. Miners anonymously validate these transactions. For their help, miners are rewarded bitcoins. ‘Proof of work’ is the term coined for the assistance of miners in validating transactions. Continue reading more about Bitcoin Mining here.